I think we ate our weight in pico de gallo when in Mexico. 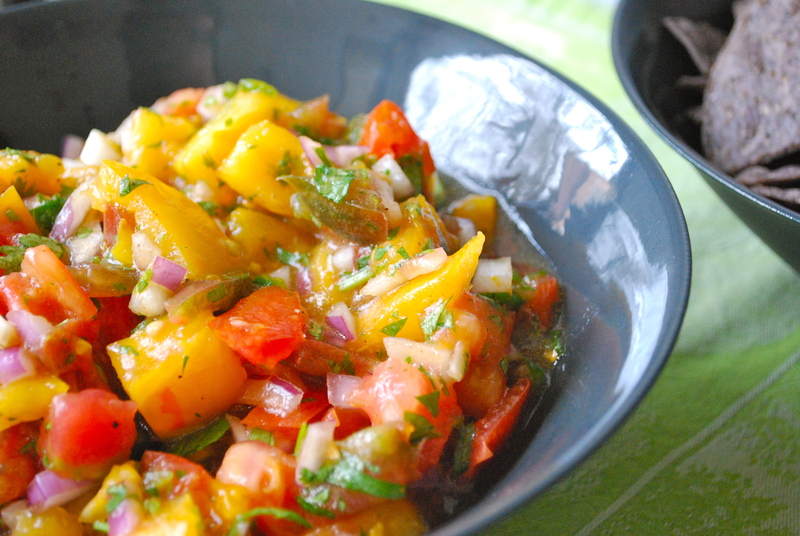 This ever present condiment, also called salsa fresca, is a must on a hot summer afternoon with corn chips, alongside a bean and rice burrito or open face guac sandwich for lunch, or at dinner as a side to blackened rice and black bean stew. It adds texture, flavour, and the freshness tomatoes, cilantro, and lime juice afford so elegantly. It only takes a second to make and is second to none when the kids have the munchies and need a healthy snack. Put everything in a mixing bowl and mix well. While this is a pretty traditional version, you can add cucumbers, radishes or firm fruit, such as mango as well.